What Does A Muzzle Brake Do? Weapons such as guns are standard for others. These weapons are often used for self-defense; however, some people still use them in other ways. No matter what your purpose is, firing a gun is not a walk in the park, especially if you are a beginner. Moreover, firing results to a recoil; a backward momentum of a gun when the bullet is discharged. 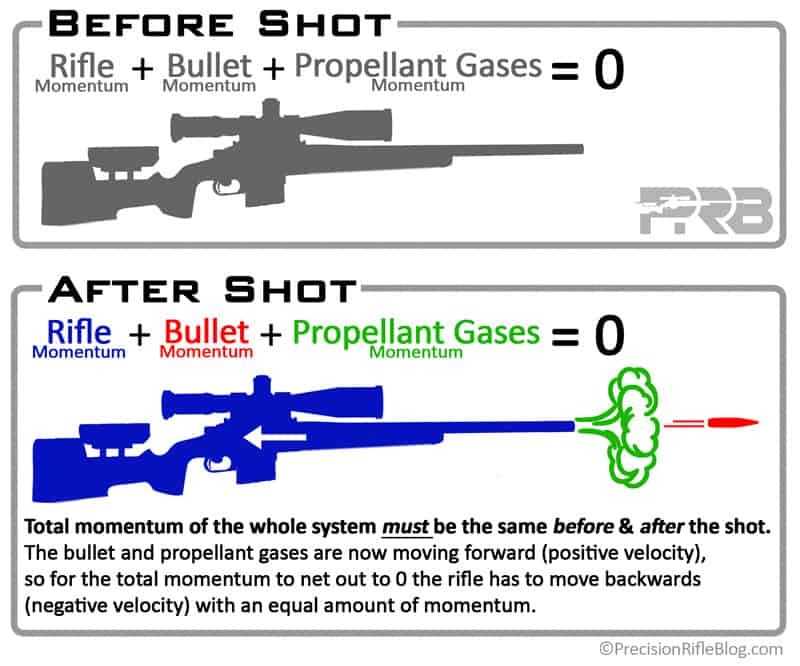 The recoil balances the forward momentum of the projectile and the exhaust gases. The problem is, some people can’t manage to hold the gun still when it recoils. This is where muzzle brakes come into the picture. Now, what does a muzzle brake do? What is a Muzzle Brake? A muzzle brake or a recoil compensator is a device used by gun owners connected to the firearm’s muzzle to reduce the recoil or the backward momentum of the weapon when fired. It redirects propellant gases to counter the backward momentum and the unwanted rising of the barrel during rapid fire. This concept is first introduced for artillery and was a usual feature on many anti-tank guns to reduce the area of the recoil stroke. They usually use it on rifles and pistols for practical competitions. Firearms such as pistols and rifles have their recoil. To get rid and mitigate this recoil, it needs a muzzle brake. As the gun fires, the muzzle brake harnesses the exploding gunpowder gases and particles and redirects them to change the movement and the acceleration of the weapon. The muzzle brake has baffles which create an expansion chamber, and the holes drilled into that expansion chamber will bleed gas off at many different angles to the axis of the barrel. These gases caused greater force immediately before, during and after the projectile exits the barrel and eventually resulting in efficient muzzle redirection. Looking closely at the brake’s interface and brake’s internal guts, you can see that as a bullet exits the rifled portion and crown, it enters a slightly oversized tunnel through the brake. This oversized tube allows the bullet to exit in the passage freely, and it will avoid the shot in touching the inside because if it moves, the round will be thrown off and become inaccurate. At the moment that the rifle is triggered, the hot gases will boil into the muzzle brake at the instant the bullet’s base exits the barrel. It will expand violently and travel at several times the speed of the projectile itself. It blows forward around the sides of the bullet, expanding into the expansion chambers and redirects out the sides of the brake. Jet holes placed in the muzzle brake has a significant effect on the influence of the restraint, in recoil and muzzle movement. Drilling at a 90-degree angle hole in the surface of the brake will make the force of the exiting gas apply differently than those holes drilled with a slight angle forward or rearward. And drilling holes in equal spacing around the brake, the applied force will only reduce recoil and not eliminate the muzzle movement. In reducing the muzzle movement, termed as ‘muzzle jump’, there will be holes drilled in the sides and the top of the brake, not in the bottom. The holes must favor a side or the other to counteract the effect of the spin direction on muzzle jump. This rifling direction does have a significant effect on directional recoil. To tune up your brake’s effectiveness, you will use a crescent wrench that will turn the brake a bit at a time until you hit the right spot. In general, most modern barrels use a right-hand rifling twist so that it is slight to the right of the perfect top center. 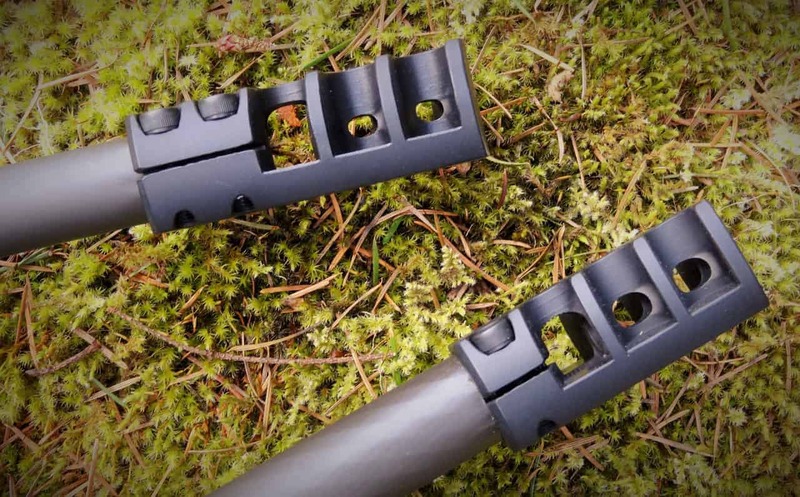 Most of the muzzle brakes available can cut the recoil by 50 percent. This percentage is huge, and it totally makes your firearms much stable and more accurate. There are plenty of firearms, especially rifles, that has a significant recoil that can affect the accuracy of the weapon. Without the brakes, the rifle would be unshootable. 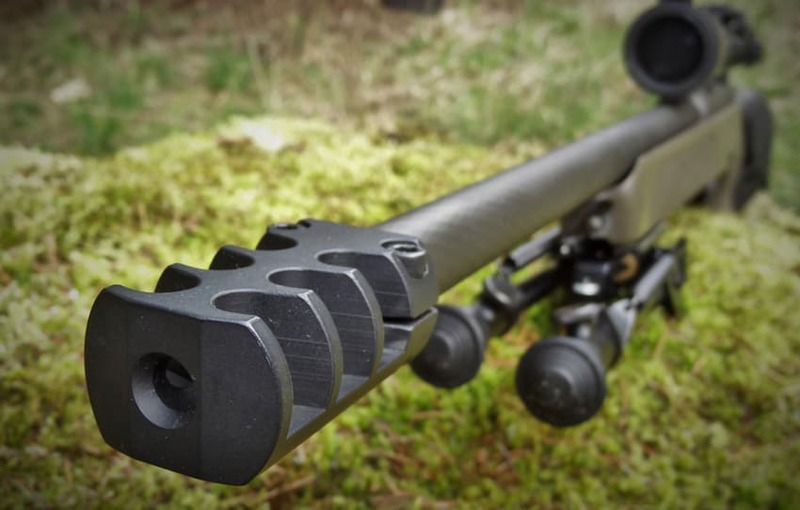 Varmint shooters, who fire heavy guns that recoil lowly, want to shoot with muzzle brakes attached because they need to spot the bullet splash. It is possible they can do that if the weapon recoils greatly. Also, it has been proven that installing muzzle brakes, particularly with light barrel guns, result in better and accurate shooting. Some think the additional length of the muzzle brake bothers to some people. It will add 2 inches to a rifle barrel. What a muzzle brake does is to redirect the blast towards you instead of going away from you. It will result in unpleasant and unbearable noise. The noise would be too loud that you can go deaf quickly. To avoid that, you can use hearing protection to cover your ears from that loud noise. A good muzzle brake can be very expensive. It costs about $250 or more with an added installation fee by a gunsmith. Before choosing to have a muzzle device, it is important to consider what the purpose of your weapon is. If you would use it as self-defense, you should choose flash suppressor than a muzzle brake. The difference between muzzle brake and the flash suppressor is that the muzzle brake tames recoil and muzzle jump but produces deafening noise that is very bothersome. However, in a flash suppressor, it will tame the flash generated when unburned or burning gunpowder particles, and gasses contact oxygen, having a little effect on recoil, and most of all, it is much quieter than muzzle brakes which make it far suitable for personal protection use and to avoid hearing damage. Muzzle brakes are a great help in your rifles and pistols – improve accuracy, weapon stability, and reduction of recoil when it fires. Now that you know what does a muzzle brake do, it’s time to give it a try!